One Scarf Many Ways Part 2! 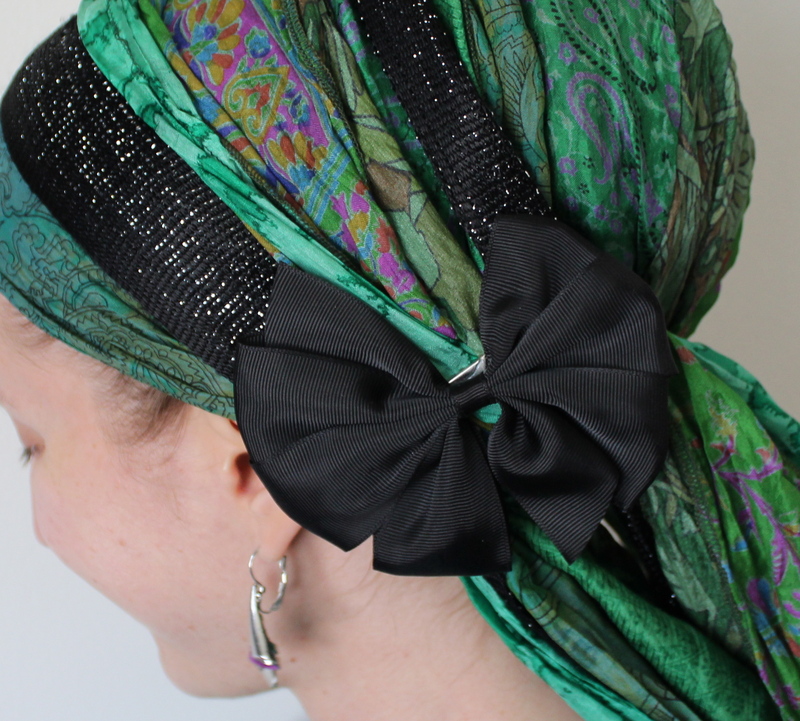 You loved seeing one scarf tied in multiple ways in the last post… so here is another! 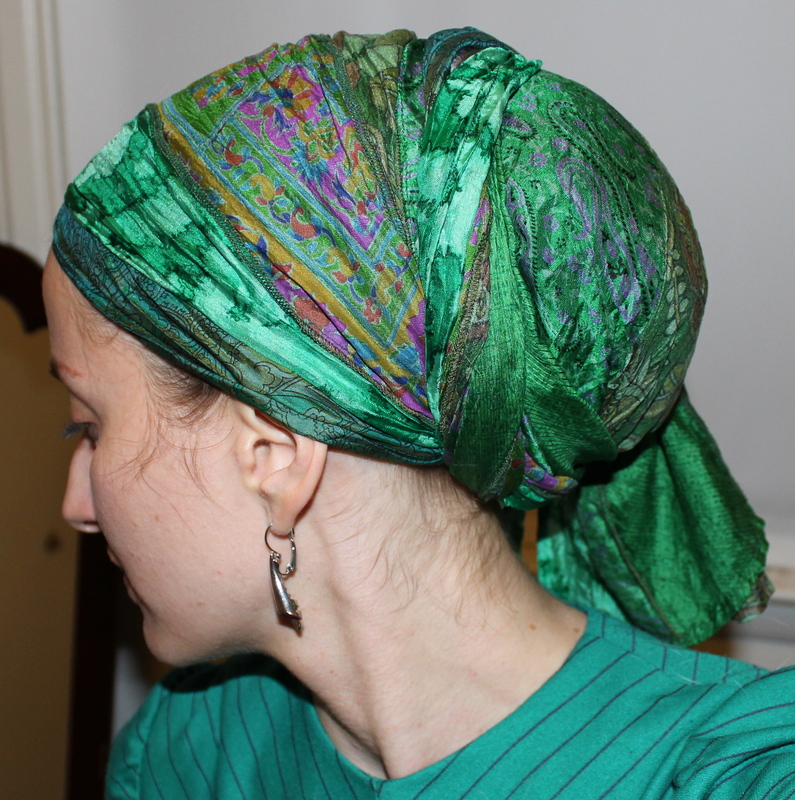 This green silk scarf was a gift from a woman who makes them (I posted about it in one of my first Wrapunzel posts) and it often makes an appearance on my head! 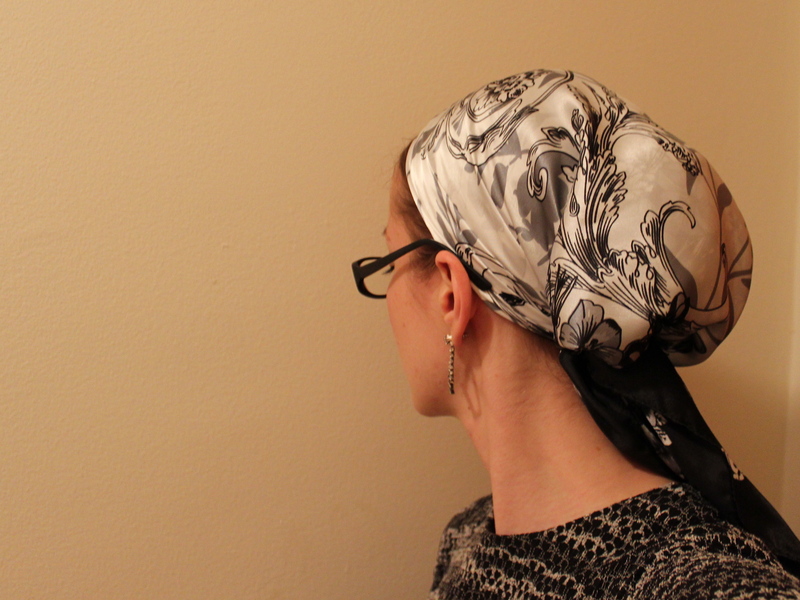 This day was full of bike riding so I had to take my tichel off and tie it again a few times… here goes! The first tie of the day! The next tie was an experiment… I have seen gorgeous ties with lots of detail at the top and wanted to try it! This one was beautiful and I got a lot of compliments, but I personally feel like it didn’t suit my personality and face shape. Hope that someone else is inspired by it! Yes, his wife is already lined up to be a Lady Wrap Star! 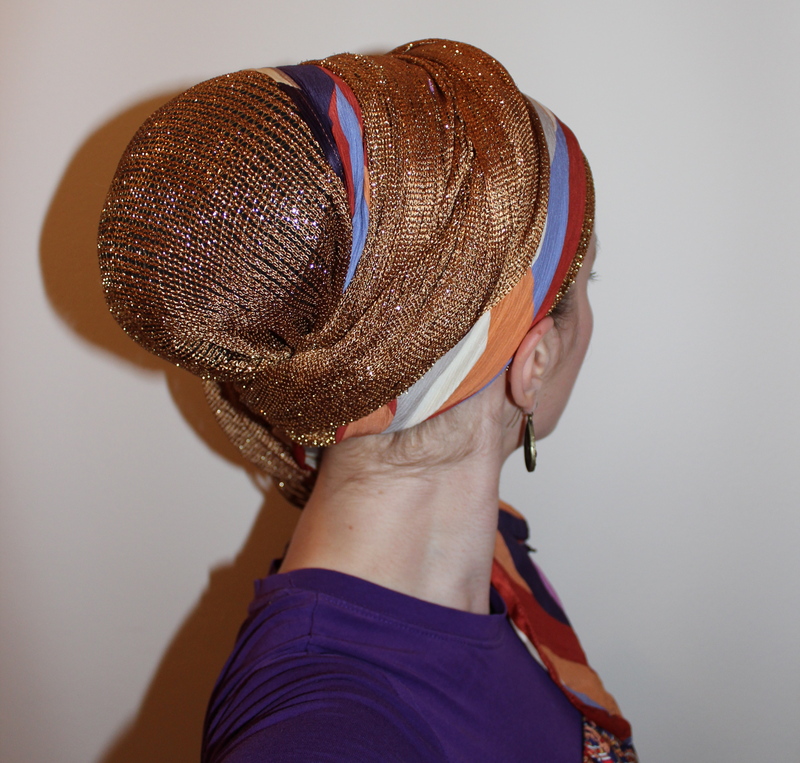 What kind of head wrap should one wear to a wedding? And epic one! … let me count the ways! 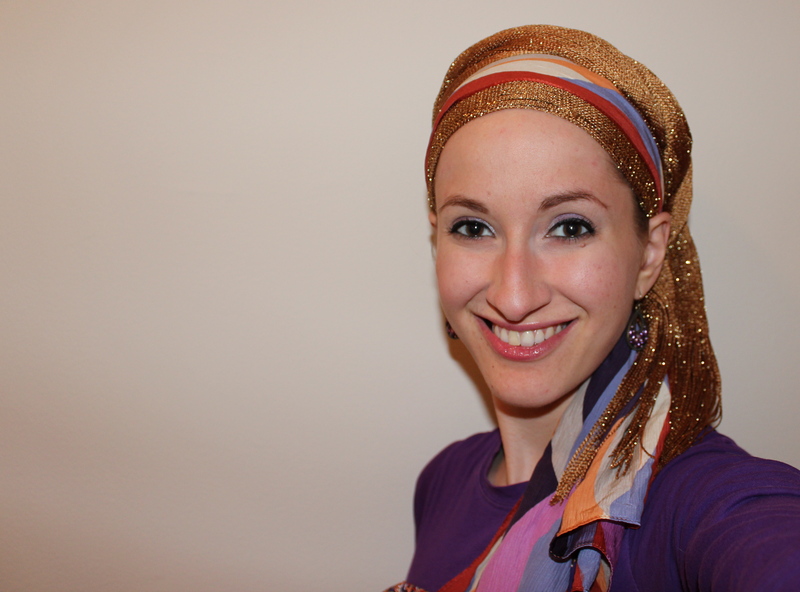 I got this super silky scarf, and my [almost] sister in law expressed her concern for how it would slip off easily! 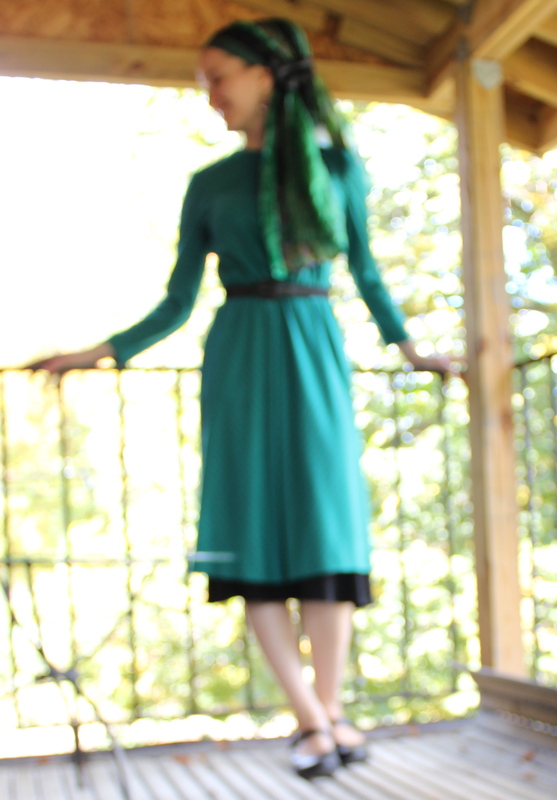 Enter the velvet headband! 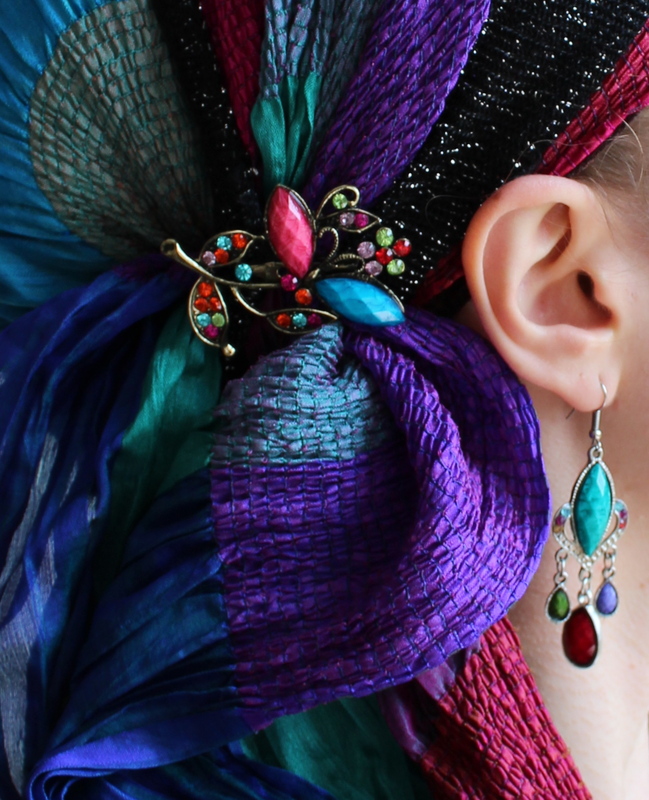 With it, I can wear the slipperiest scarves for hours and hours, and I don’t even need to check on it! 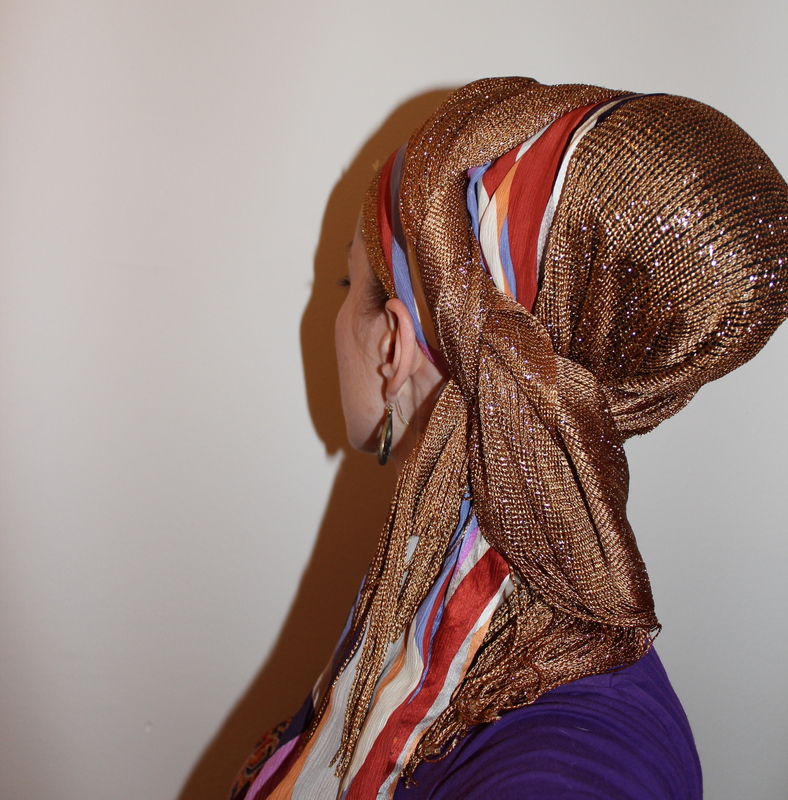 As well… check out this scarf! 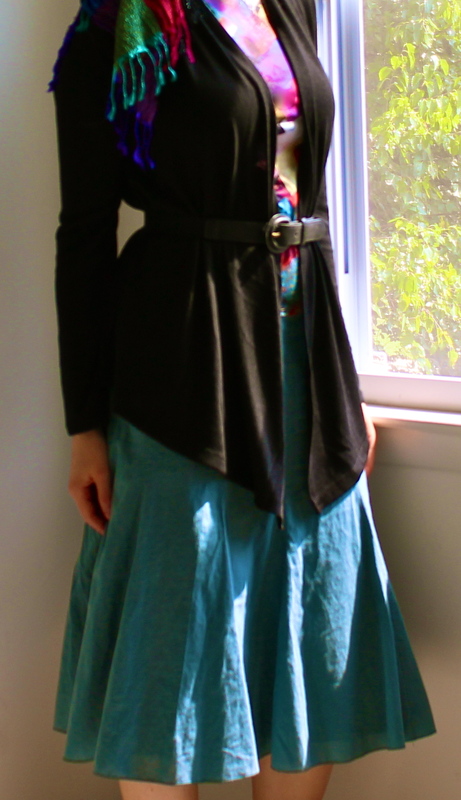 It’s much less colourful than my usual, but is elegant and looks beautiful without a complicated tie or volumizer. It always amazes me how a good sash accessory can completely change the look of a wrap. 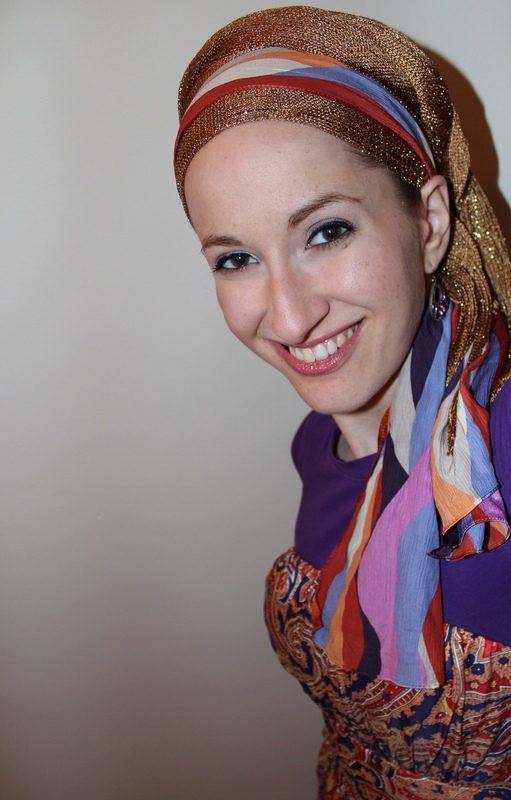 Here I am going to show you a simple, purple scarf, wrapped in the exact same way, but when paired with two different sashes, the look is completely changed! See for yourself!